This year is quickly coming to an end. Every new year signifies something different for everyone, but in certain situations it literally can mean a fresh new start. If you’re moving home this New Years, then you probably want to make it as easy as possible. Renovations and home improvements can be difficult at the best of time, let alone when you decide to do it around a New Year. However, it doesn’t have to be disastrous. Make sure you get through your renovation this New Years with a simple, easy to follow and very handy checklist. Covering everything from any building processes you might have, to the design and decor, you can renovate a house and keep your sanity in 2017! When you move to a home that needs a lot of work, or even decide to completely renovate your own house, it can be tricky and there are always a range of risks involved. Although if you stick to a sensible order of getting things done, you’ll be able to get through the process without too many hold ups. First of all, you’re going to want to make sure that the building is structurally sound. You probably already got a survey completed on the house, so you may know what areas are currently an issue, but you can always get another specialist in to help you estimate the workload that’s required. Depending on the state of the building you bought, you might need to start off with carrying out specialist preventative and recovery work. If the house has damp or any mould infections, you will need to get people in to have it all removed and treated. It’s important that you get these steps done before you try to do anything else. It’s likely that you’re going to need planning permission for some of the work that you want to carry out. You might even need to check certain building regulations for your area, or have a professional help you out with that. Either way, before you make any plans on what you’re going to do, it’s best to clear up these areas first. Potential contractors can guide you here. Once you’ve got the all clear on the renovation ideas and any issues that the building may have, you’re going to want to start making plans and preparing for the renovation to take place. It’s a handy idea to consult a designer or architect at this stage if you’re not qualified in this area. It may even be the case that a contractor can recommend someone if they don’t provide one themselves. Depending on your ideas of the renovation, you might be looking to carry out demolition or extend the building. If you’re not sure exactly what you want, share your overall goals with the designer and see what they put forward. Alternatively, you could seek out extension inspiration online to see how others have handled their renovations. Next, you’re going to want to get the utilities checked. They might be fine and just need a little once over or update, but if the house was a complete wreck or untouched for decades when you bought it, you could need entirely new water, gas or electric supplies installed. Another critical stage here is to make sure the building is weathertight. If you’re putting in new electrics, for example, you’re going to want to ensure that all of your windows and external doors are in - especially if you’ve had an extension. If you’re keeping the original roof, you’re going to want to make sure this is secure and weathertight too. An important area to keep track of is the outside of the building. It’s easy to follow a renovation schedule that focuses on the interior and leave the exterior until after, but you can make a lot more work for yourself that way. The exterior design is just as important as the interior. Your drainage system and guttering could completely need replacing, or just a quick tidy up. Either way, it’s best to find out early on in the renovation stage, rather than experiencing blockages when everything else is complete. Get this stage ironed out before you think about any other elements of your exterior design, to make sure they don’t need to be redone again in the future should anything go wrong. You'll also want to get your landscaping sorted out too. You’re not going to want a muddy mess outside when the furnishings are going in. Remember, this stage doesn’t just involve fencing and planting, but your driveway too. So, you’re going to want to get that in to be able to park on it. But make sure all skips and heavy work trucks are finished with and removed from site before it’s laid to avoid it being ruined. The exterior could be sorted alongside your landscaping or as you’re finishing the inside, to bring everything together. If you’re planning on painting the outside, get this done before you lay any paths or driveways to save spoiling them. Any cladding that you might want to do can be applied as you’re finishing off the interior in the next stage. When you start to think about the interior, it’s useful to remember that it goes beyond paint. You’re going to want to make sure to apply staircases, stud walls or skirting at this stage. You have your shell, so now it’s time to fill it. When the final layout is decided, the walls are in, the stairs are in, and the electrics are completely finished, it’s time to plaster. You’re going to want to get someone in to do every room if the house is being renovated all over. Then, you need to allow time for this to completely dry out, which can take a few weeks or more. Alongside the plastering, you’re going to want to make sure that all of the floors and groundwork is prepped downstairs. When that’s ticked off and the previously mentioned drying period is complete, you can stay to lay the hard fixed flooring. Whether you have tiles or hardwood flooring, it’s best to get it in before any fixtures to avoid errors in the floor if you make changes in the future. You’re going to want to affix any wallpaper, tiles or paint when the works are done to avoid any dust getting into your finished decor. Some prefer to add in their fixtures and fittings before this stage, but by doing it first, you can avoid the errors as you would the with the hard flooring application. And then it’s onto the decor; this is when you’re going to want to think about the overall look and feel of your home. Pick out your bathroom, choose your made to measure curtains and finalise your design. You're going to want to get your bathroom and kitchen units applied and the fittings installed. Any tiles you have will already be up, to save miss-matched patterns if you decide to change it in the future, and it’s smart to do the same with the paint. Your electrics are installed, plugs and the fittings for lights too, but you’re going to want to decide on fixtures as well. If you have things like spotlights installed, they will already be done, but this is the stage where you’ll want to install any statement fixtures you’ve bought. And then, all that’s left to do is the fun part. You may have picked out your furniture and accessories months ago, but now you get to put them in and bring your entire renovation together. 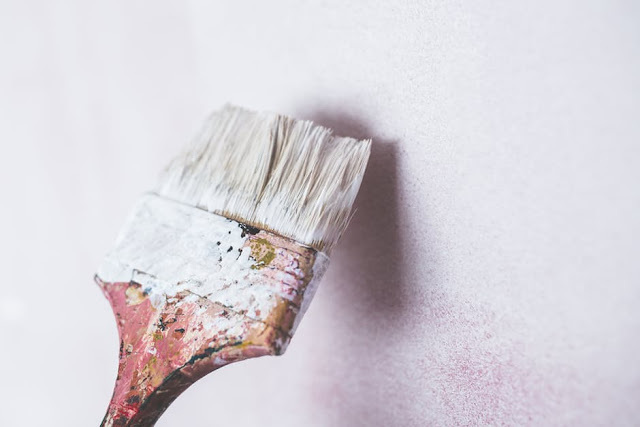 It’s sometimes handy to do a final clean and tidy up before anything goes in, just to make sure nothing gets ruined, but after that, your renovation should be complete.